A Victorian beechwood breadboard with a carved border. 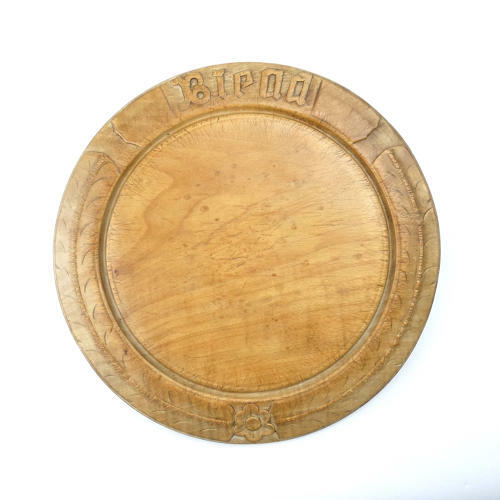 This board is carved with the word ‘Bread’, two long, stylised leaves and a small flower. The carving is quite deep and the board dates from c.1890. The wood has a good rich patina. There are a couple of small stains to the face of the board but otherwise it is in very good condition.